Santa Barbara healthcare provider, Sansum Clinic, announces the recent election of CEO Dr. Kurt Ransohoff and COO Vince Jensen to the Board of Directors of the California Association of Physician Groups (CAPG), the nation’s largest association representing physician organizations. Sansum Clinic CEO and Chief Medical Officer Dr. Kurt Ransohoff and President and COO Vince Jensen have been elected to the Board of Directors of the California Association of Physician Groups (CAPG). "Physician groups in California are driven to transform the way patients experience the healthcare system,” said Donald H. Crane, president and CEO of CAPG. “Federal health reform was built on the delivery model originated by California physician groups and CAPG's current strategic plan is focused on ensuring continued evolution of healthcare toward better coordination of care and better accountability for how dollars are spent." “Patients expect and deserve seamless, high-quality and high-value care. Our newest board members have demonstrated a passion to help achieve this goal on behalf of the patients they care for and the communities they serve,” said Crane. Other new board members include leadership from organizations like Empire Physicians Medical Group in Palm Desert and Scripps Coastal Medical Center in Carlsbad. As CEO and Chief Medical Officer of Sansum Clinic, Kurt Ransohoff, MD oversees the largest outpatient healthcare delivery system in Santa Barbara County and one of the country's oldest and largest medical foundations. Dr. Ransohoff joined Sansum Clinic in 1992. Board certified in internal medicine, Dr. Ransohoff received a Bachelor of Arts degree from Bowdoin College in Brunswick, Maine and a medical degree from UCLA School of Medicine. He was assistant clinical professor of medicine at the UCLA School of Medicine from 1989-1992, and chief resident and clinical instructor from 1988-1989. Dr. Ransohoff was chairman of Sansum Clinic's Internal Medicine Department from 1992-1994, and assistant medical director from 1994-1997. He has been medical director since 1997, president since 1998, and CEO since 2002. 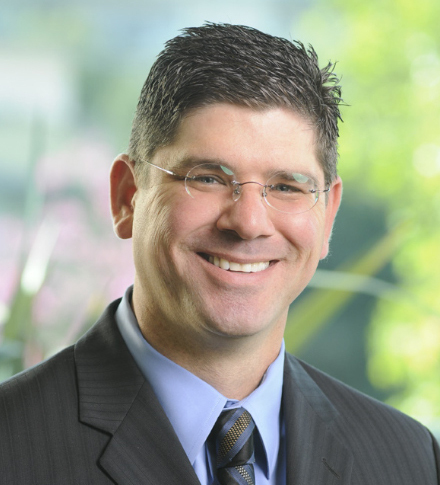 Dr. Ransohoff also serves on the boards of the Hospice Care of Santa Barbara, and the CMA Council on Legislation. 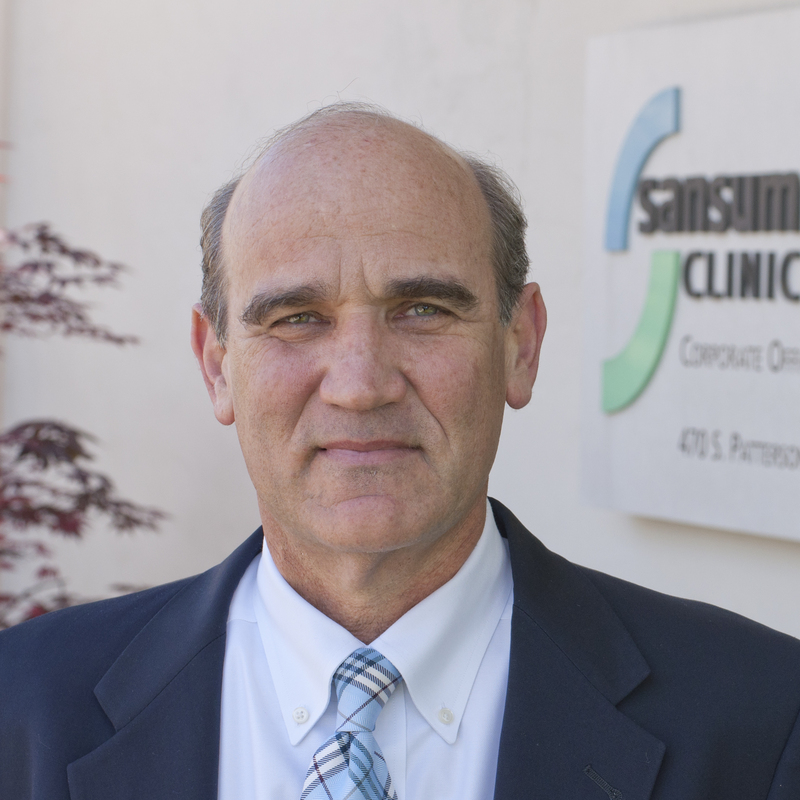 Vince Jensen joined Sansum Clinic as President and Chief Operating Officer in June 2012. He brings with him over twenty years of healthcare leadership experience in large multi-specialty group, hospital and IPA settings. In addition to his executive skills, Mr. Jensen has particular expertise in strategic and business development, managed care negotiations and revenue cycle management. Before joining Sansum Clinic, Mr. Jensen served for twelve years as Chief Operating Officer of City of Hope Medical Group, overseeing its clinical and business operations. He is credited with the strategic and financial turnaround of City of Hope’s physician enterprise, making it one of state’s largest and most profitable academic practice plans. Prior to his role as COO, Mr. Jensen served as the Vice-President for Managed Care and Business Development at City of Hope where he directed its contracting and joint venture programs. He was also responsible for the operations of the City of Hope Oncology Network, California’s then largest oncology specific IPA consisting of nearly 850,000 patients in Los Angeles. Mr. Jensen began his healthcare career in the Providence Health System where he served the Los Angeles Service region for ten years. His progressive experience at Providence in nursing, finance, managed care and operations led Vince into executive management and healthcare administration. Mr. Jensen is a well recognized leader in the healthcare community. He is also member of the American College of Healthcare Executives, Healthcare Finance Management Association (HFMA) and the Medical Group Management Association (MGMA). He earned his undergraduate and master’s degrees in Business Administration and Executive Management from the University of LaVerne, Los Angeles. The California Association of Physician Groups (CAPG) is the nation's largest trade association representing physician organizations practicing in the delivery of accountable, clinically integrated health services. The California Association of Physician Groups (CAPG) represents groups that employ or contract with nearly 60,000 California doctors and provide care to approximately 18 million Californians. CAPG is committed to improving healthcare for Californians and supports coordinated, patient-centric care where physician groups are accountable for the cost and quality of care. Since its founding in 1921, Sansum Clinic has been improving the overall health of our patients by providing the latest innovations in equipment, technology, procedures and treatments. Sansum Clinic is the largest independent nonprofit healthcare organization between the Los Angeles Basin and the San Francisco Bay Area. With more than 180 affiliated physicians, Sansum Clinic provides the full spectrum of healthcare services, from primary care to more than 30 specialties. Sansum Clinic serves more than 150,000 patients (600,000 visits) annually at our 21 patient care facilities in south Santa Barbara County. Sansum Clinic can be found online at http://www.sansumclinic.org/.